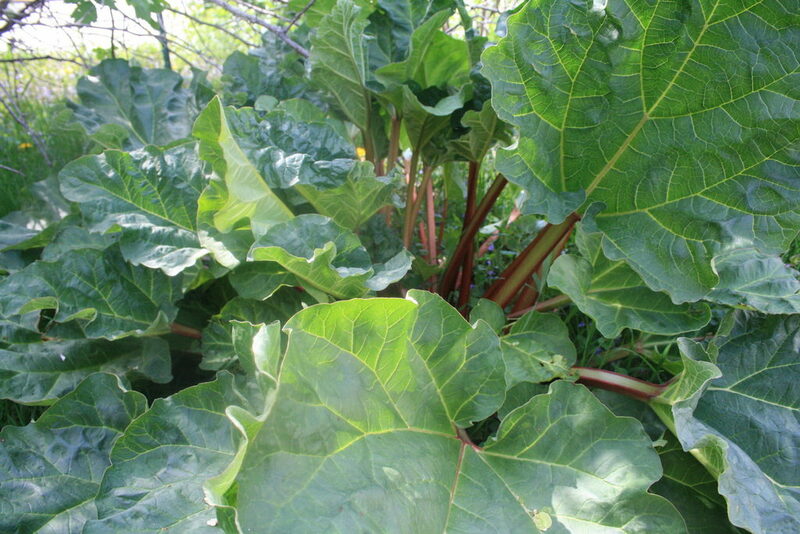 It has poisonous leaves, is bitter and fibrous…yet we love, love, love rhubarb! 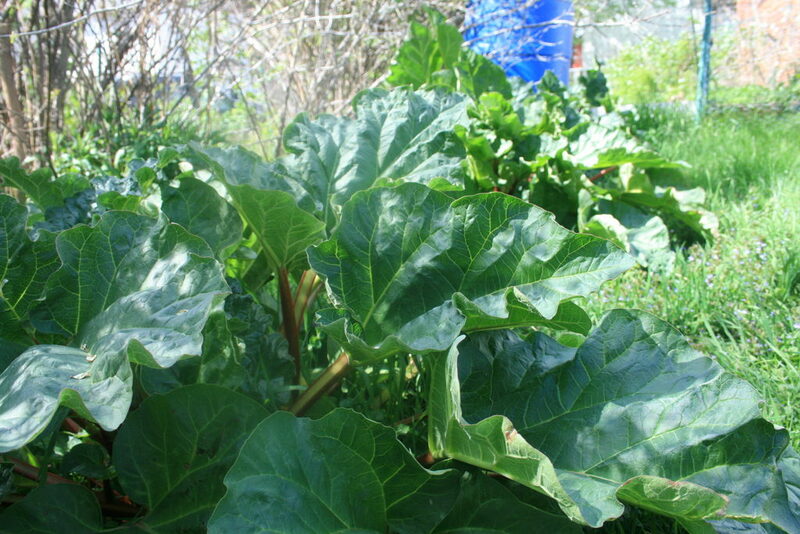 Rhubarb is right up there next to asparagus in my favorite perennial foods to grow. It’s so easy. Mine sits right under some unkept rose bushes in the midst of grass and does just fine! You’ll have to wait until it goes dormant in the fall to get a cut for planting, though. If you don’t grow this in your yard (yet), get your hands on a couple bunches of those pink juicy stems to make my favorite rhubarb recipes! mmmm. I’ll post a walk-through at marmalade making time, but for now, make some of this liqueur and you’ll be cheerfully sipping your way through those sunny summer evenings. 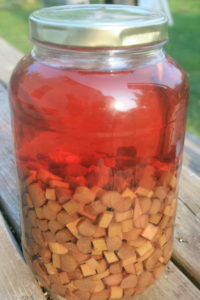 Simply chop your rhubarb in 1/4 in slices and place in the jar until the jar is half full. Fill the remainder of your jar with vodka. Let the mixture steep for as long as you like with the lid on. You should allow several weeks at least, or can keep it as is for a few months. Make sure to place the jar in a cool, dark area. When you’re ready to bottle your liqueur, simply run it through a strainer. Take a taste to determine what sweetness level you desire. 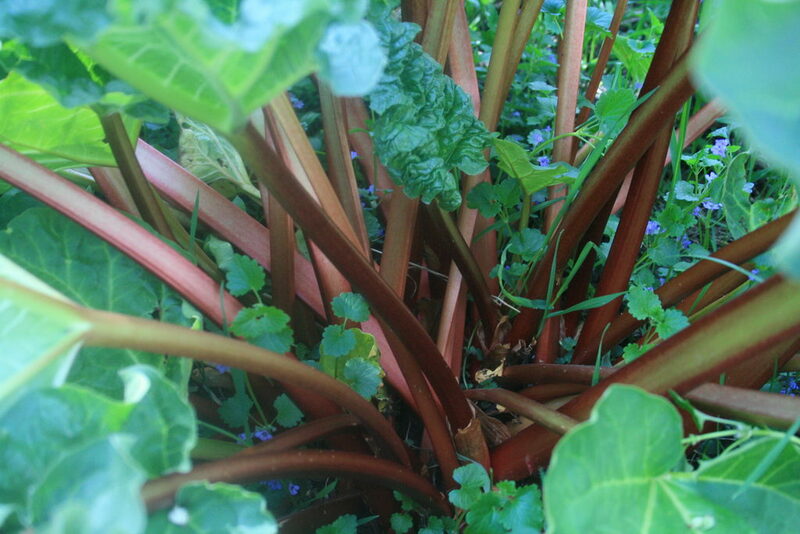 The rhubarb is sweeter when harvested earlier. If you harvested rhubarb later in the season once the weather was warming up, it will not be as sweet and you may choose to add some simple syrup to your liqueur. You can do this either at bottling time or when you serve it. To do this, make a simple syrup of 1:1 water, sugar ratio. Once cool, you can mix it with your rhubarb liqueur to your desired sweetness. I recommend just a little sweetener, at least to start – a 10:1 ratio of liqueur to simple syrup. We think this drink is best served straight over ice. Its a perfect taste of summer in a glass! But don’t forget to store your bottles out of the sunlight as your vibrant pink liqueur will turn brown and be far less apetizing! Enjoy!